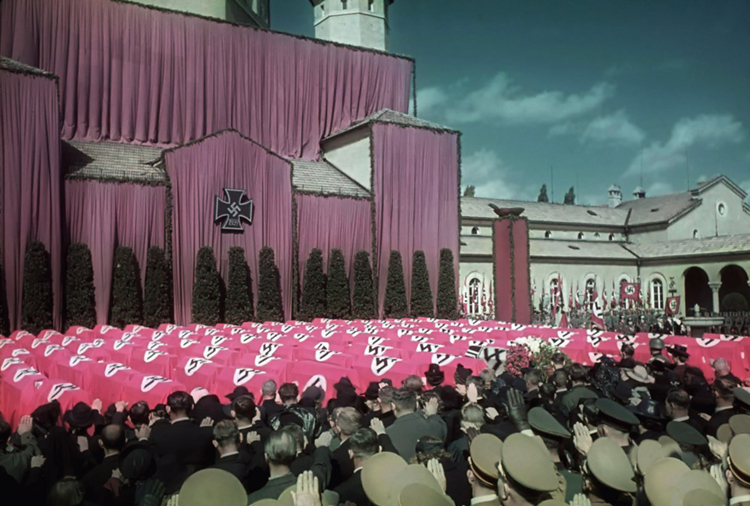 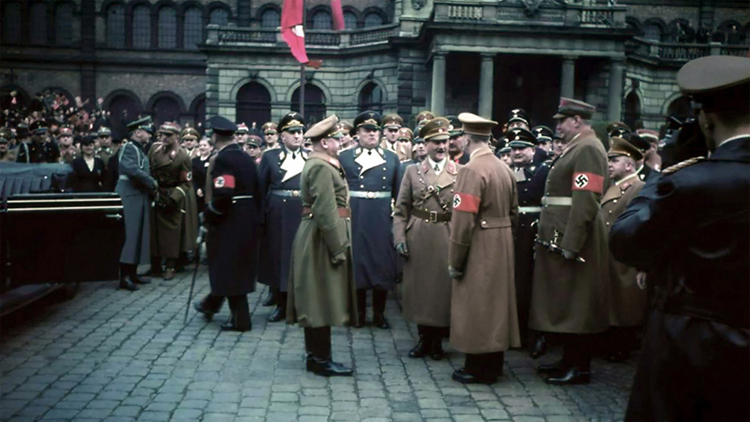 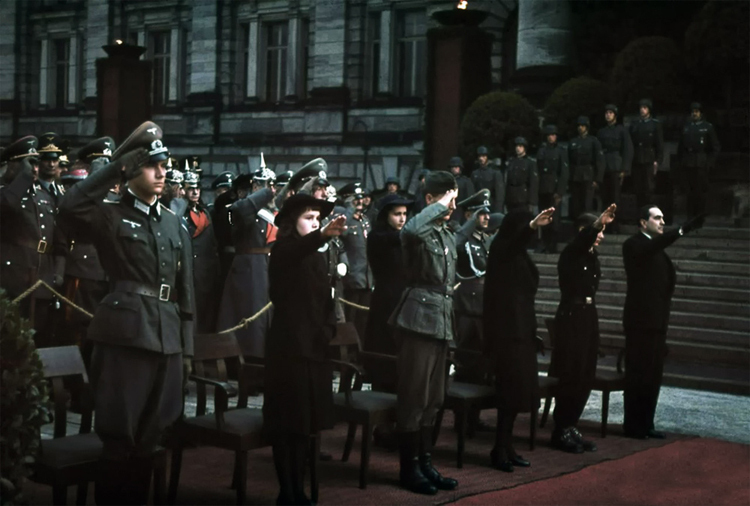 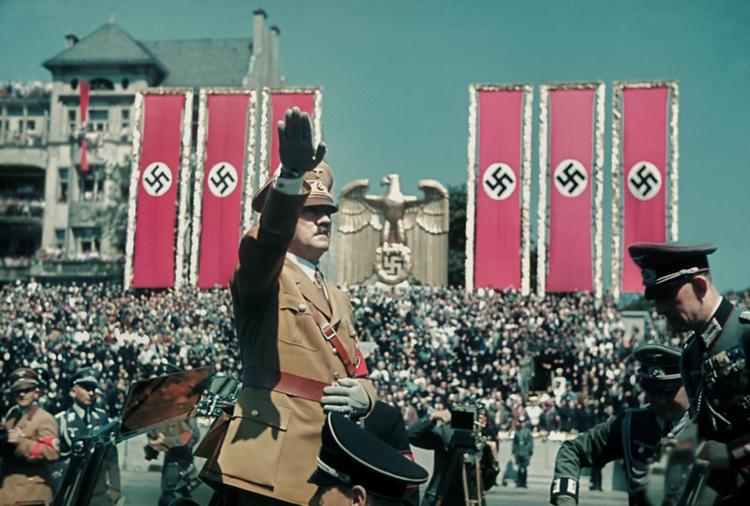 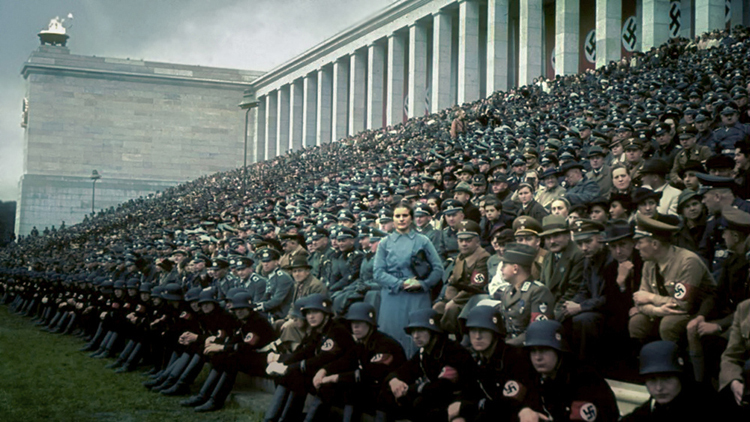 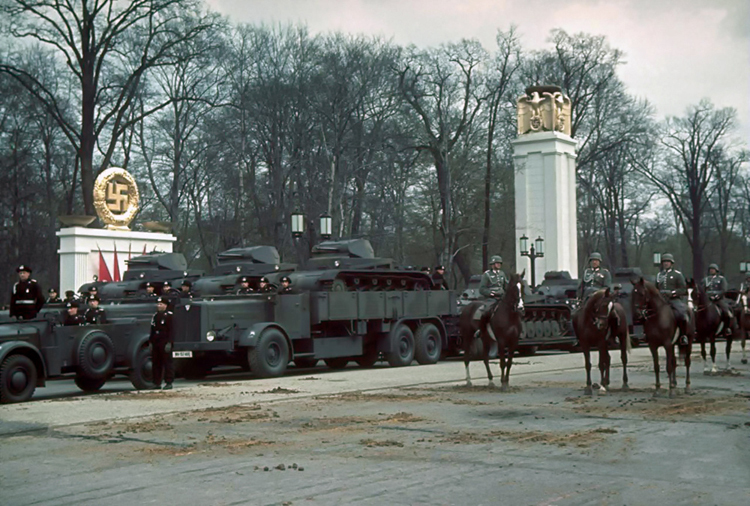 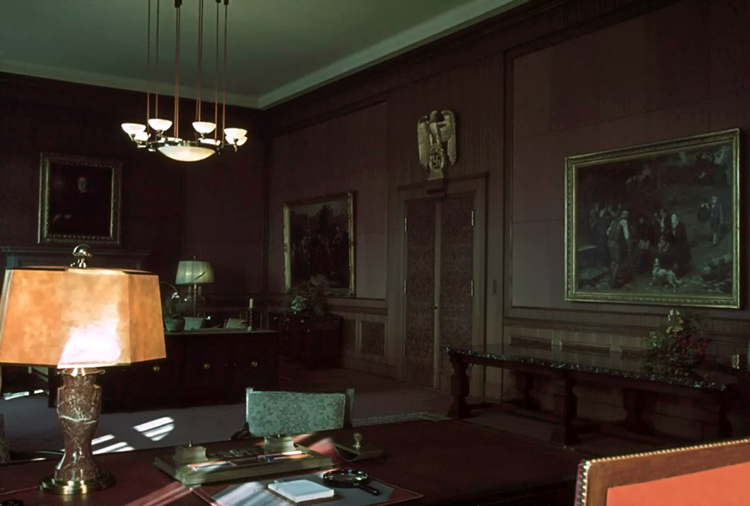 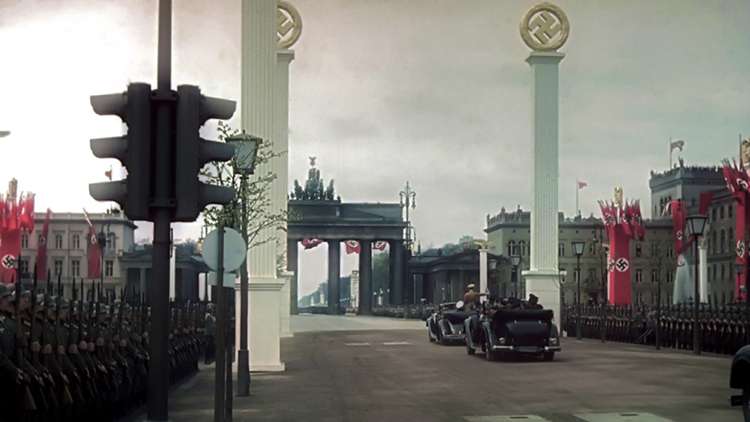 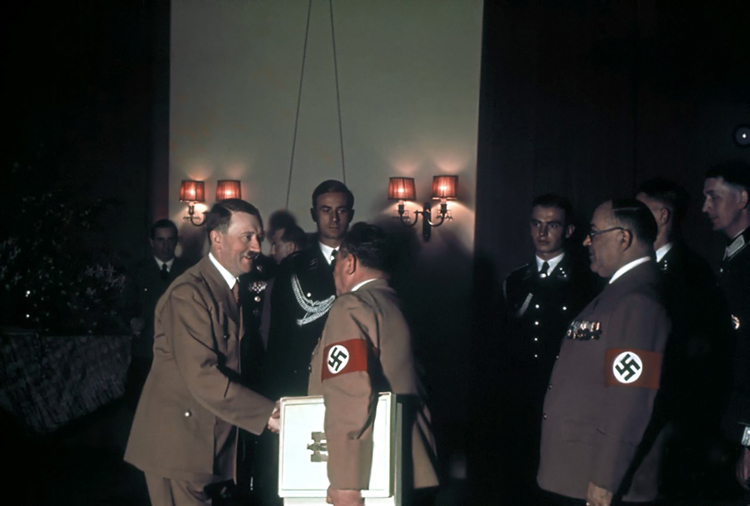 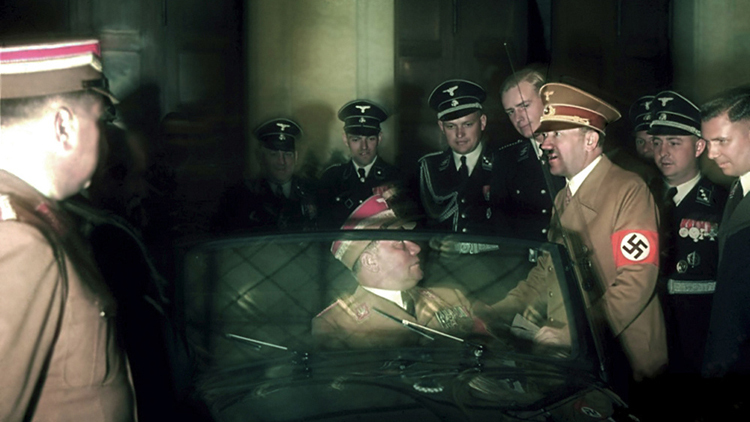 Hugo Jaeger is the former personal photographer of Adolf Hitler. 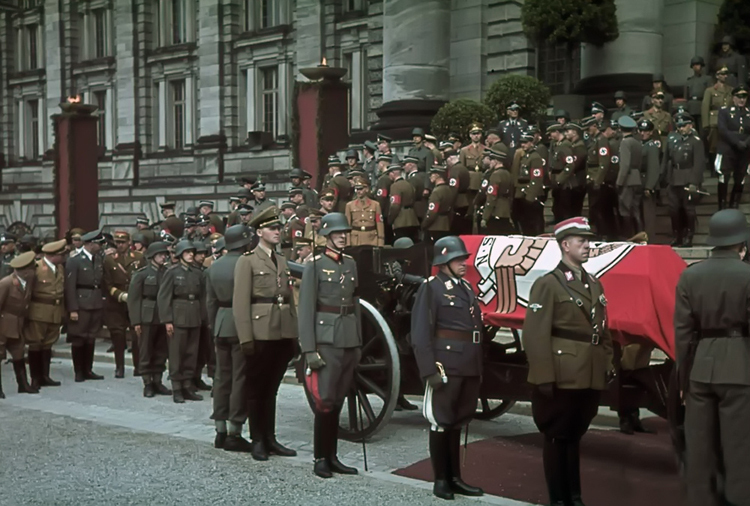 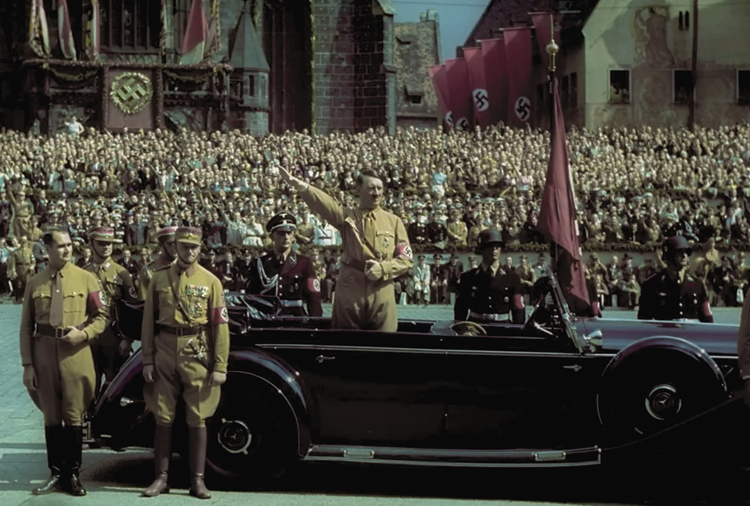 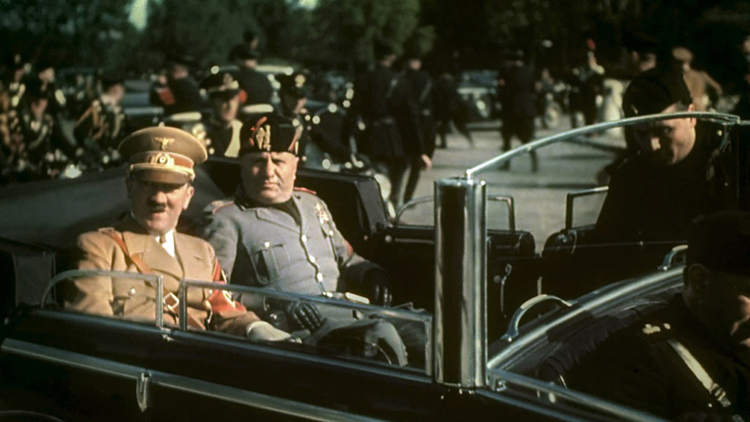 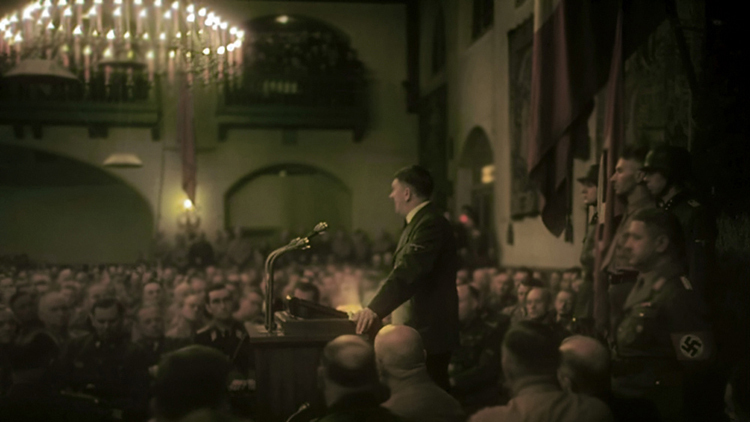 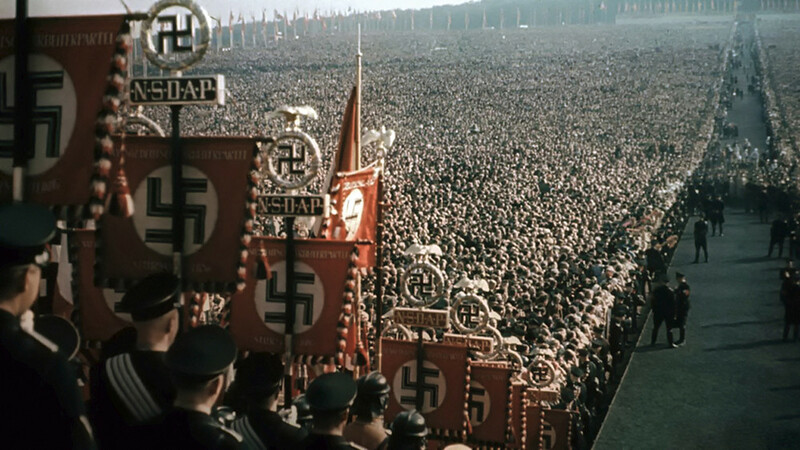 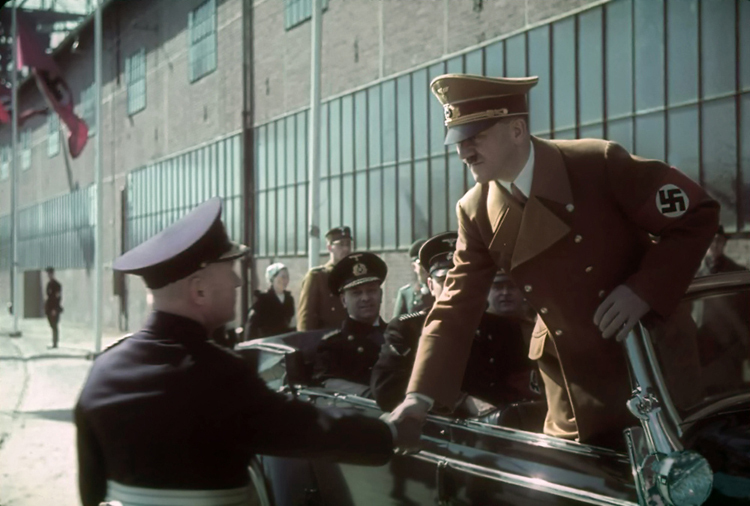 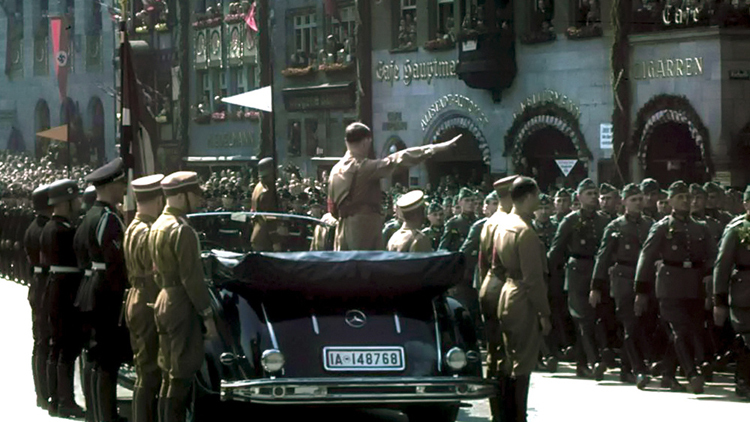 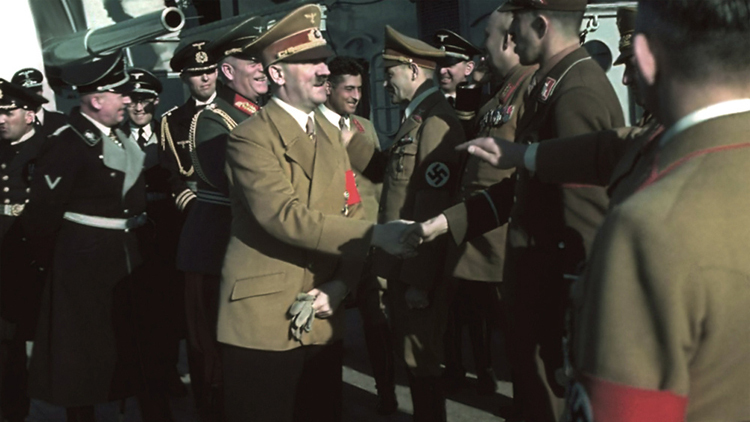 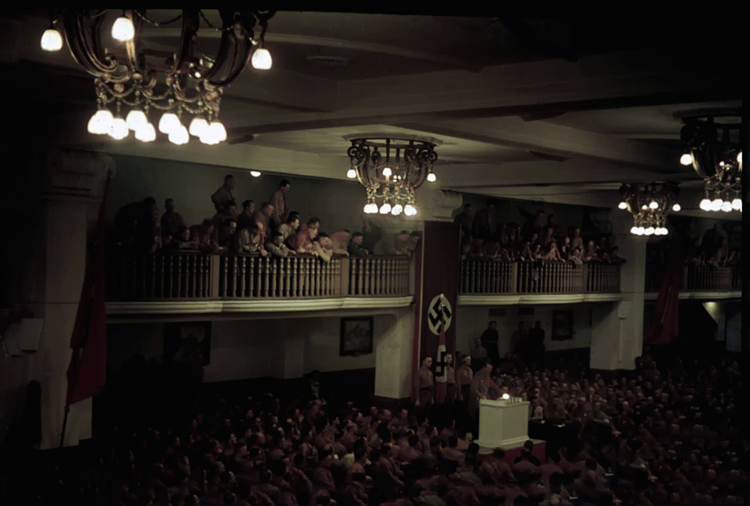 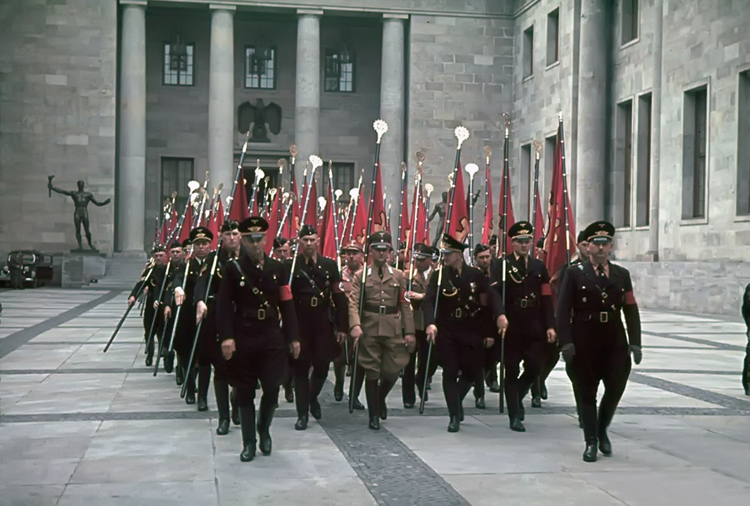 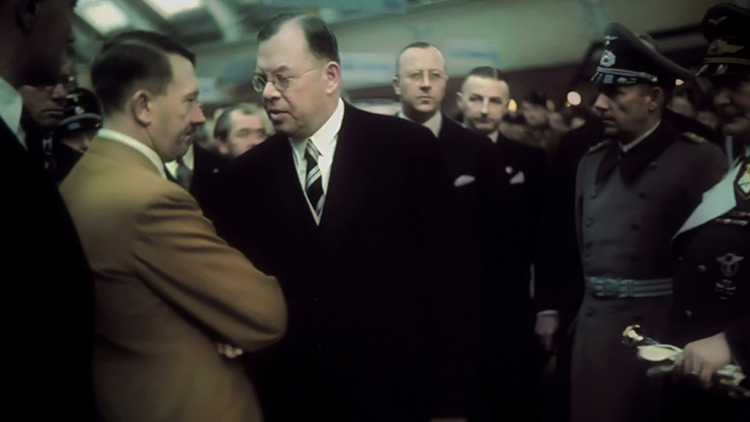 He travelled with Hitler in the years leading up to and throughout World War II and took around 2,000 colour photographs of the Austrian-born German politician. 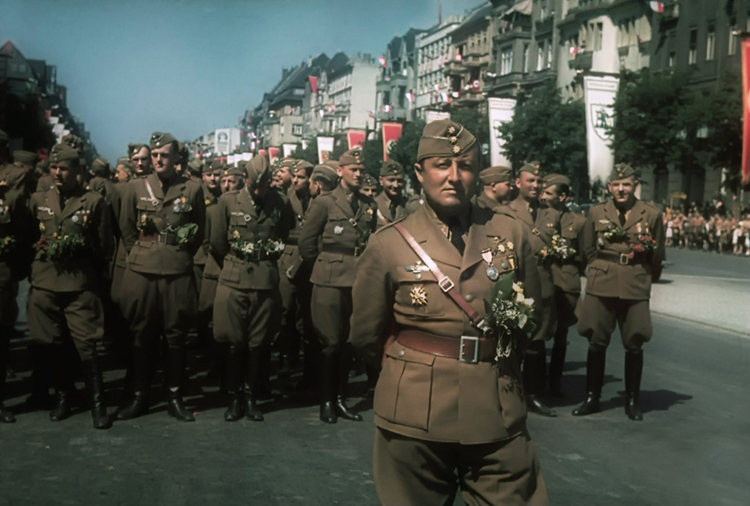 Jaeger was one of the few photographers who were using color photography techniques at the time. 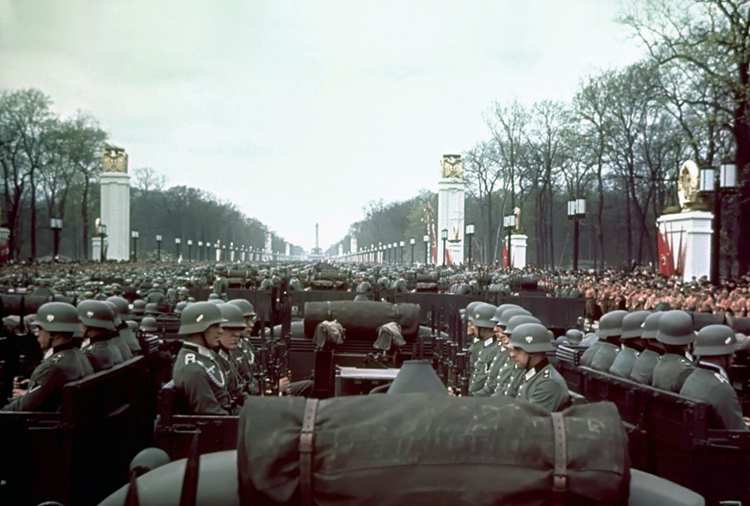 As the war was drawing to a close in 1945, Jaeger hid the photographs in a leather suitcase. 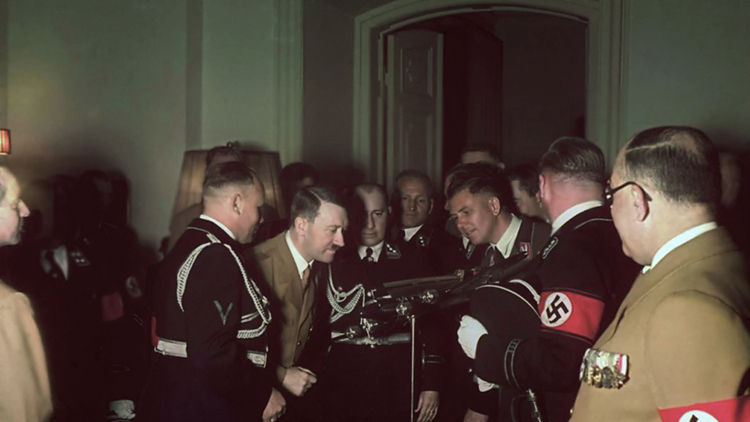 He then encountered American soldiers prompting fears of potential arrest and prosecution for carrying around so many images of such a wanted man. 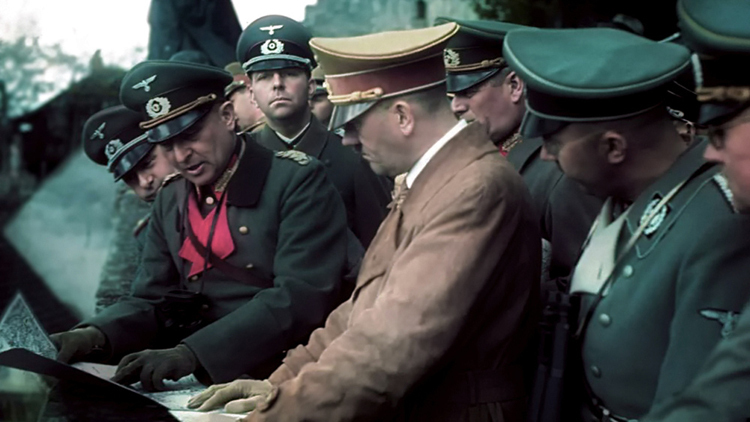 When the soldiers opened the case however, their attention was distracted by a bottle of cognac they found there, which they opened and shared with Jaeger. 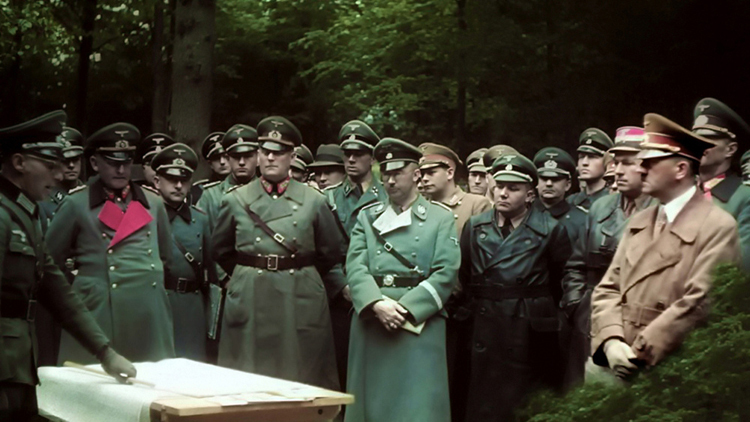 Jaeger buried the photographs inside 12 glass jars outside Munich. 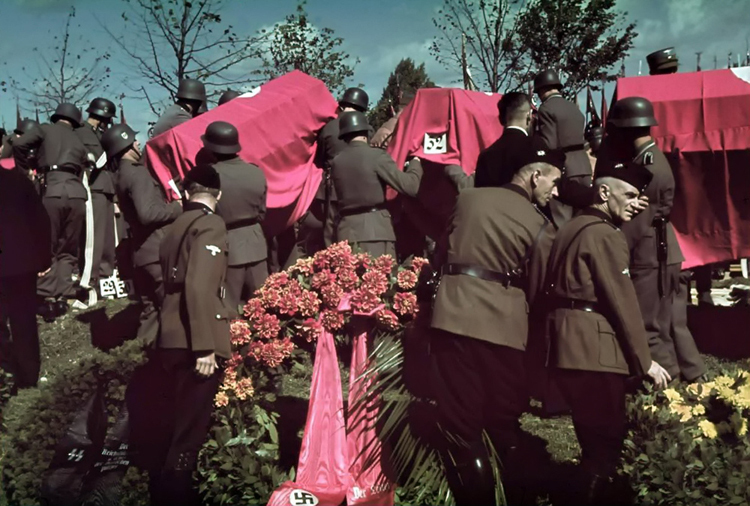 The photographer returned to the burial place over several years to ensure they were safe. 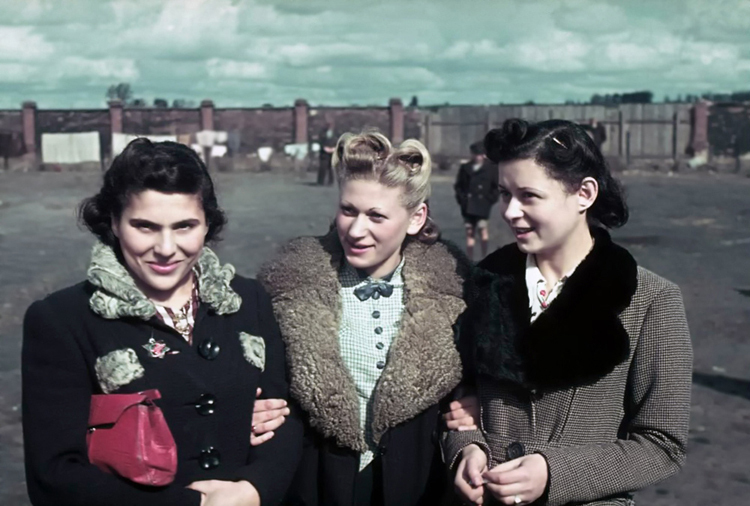 He dug up all of the photographs ten years later in 1955, storing them in a bank vault. 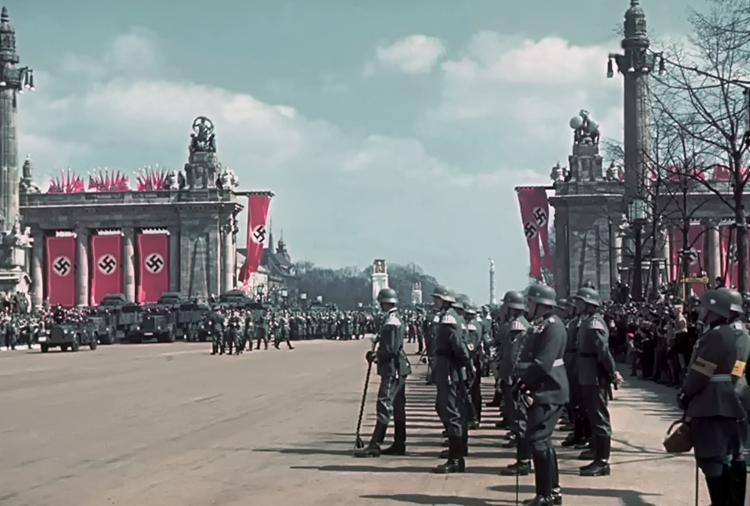 In 1965, Jaeger sold them to Life magazine.